Home / Knowledge Base / Website Hosting / Do I Need a Dedicated IP Address or Shared IP Address? A long time ago, every website out there needed its own IP address on a server. This is what a dedicated IP address means. Today, you’re able to put many websites on a single IP address and we call this a shared IP address. A short time ago, you did need your own dedicated IP address if you needed an SSL certificate for your website since a separate port 443 was needed. That’s technical talk for “it couldn’t be done.” Today, it’s now possible to stack many SSL certificates on a single IP address. Multi-Site. You have a website using the same installation for multiple domains. Both WordPress and Magento are able to run in “multi-site” mode where one installation can be used for more than one domain name. The advantage is that you only need to update one installation of the software instead of several but if you want this, then you need your own, dedicated IP address. That’s the only way it will work. High Traffic. If you have a website that has high traffic, then you may benefit from your own dedicated IP address. It’ll be the only website for that IP address, so it may reduce the load on the server by having just one website on that IP address (better performance). A website that loads faster may rank higher than websites that load more slowly. It’s not a huge difference but if speed is important, then get a dedicated IP. View Your Website via the IP Address. You may have a need to view your website by going to an IP address. If it’s the only website on that IP address, then it’ll show up. What we do is redirect the IP to the domain (in most cases) – just to make sure your website doesn’t appear under both the IP address and the domain name, which may count as duplicate content with Google. View Your Website Before Launch. Having a dedicated IP address can also help you view your website before it’s launched but this can also be done by modifying your hosts file on your computer. Protection Against IP Banning. If a network (think business network) decides to block access to an IP address and if that IP address is shared, your website would also be blocked if it’s on that same IP address. This isn’t a likely scenario. It’s possible… just not too likely. You website should load a little bit faster. You can use an IP address to view your website. It may help you view your website before it launches. You’ll have to pay a little extra per month or per year for a dedicated IP address since they’re kind of in short supply. 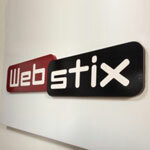 "I want to thank Webstix for making sure I am aware of the operating structure of the website and it's functionality. You both have brought considerations to my attention that have been very important to my decision making process, and I appreciate you both for making sure I understand the Development side of this business. You have shown me insights and considerations in the past I was not aware of and improved my comprehension of the situation."